Farming Awards and other Select Livestock news! It’s been an exciting few weeks here at our Shropshire HQ, from farming awards to Facebook! The Select Livestock team is delighted to have been shortlisted for ‘Farming Business of the Year’ at the Shropshire Star’s upcoming Excellence in Business Awards. This prestigious ceremony is being held at RAF Cosford on Thursday 21st April. The farming category is all about showing the strength of the rural economy at a local level and will go to an organisation that the judges believe has made a significant contribution to farming services and can demonstrate success in any aspect of agriculture. We had a Judging Panel come and visit us last month to find out more about Select Livestock and – more importantly – how we help UK farmers generate an extra income. 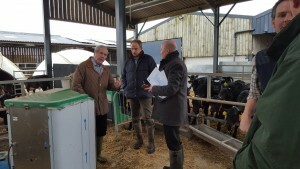 Tom Graham from the Shropshire Magazine and Paul Barker from Higgs and Sons Solicitors listened through our presentation, questioned us on our business plan and business growth and then spent some quality time watching a new batch of fresh calf arrivals! The judges were particularly interested in the investment we’ve made in our business, most notably the automatic calf milk feeder, and also the fact that our business model is particularly suited to the younger generation of farmers, who need to get a foot on the ladder to start in the beef industry. A few days after the judges’ visit, we had a visit from Yarrington Ltd to record a short film on the business. There was much discussion as to who should appear in the video from Select Livestock… but no one put their hands up! 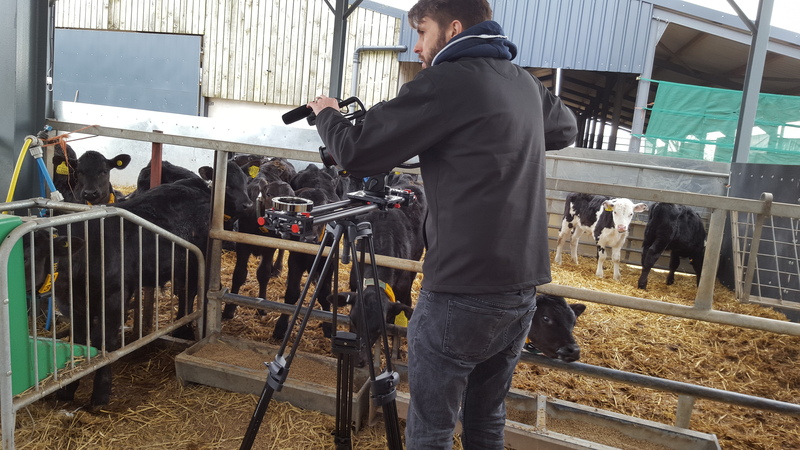 After a spot of friendly coercion, Office Manager Iona agreed to go in front of the camera, and John also put in a cameo role whilst Yarrington filmed the calves happily sat in their igloos or feeding using the milk machine! And finally, we have just had a Farming Awards photo shoot in the run up to the big event itself. It’s been all go. With all the publicity surrounding the Excellence in Business Awards, our Facebook campaign has been reaching out to younger farmers who might be considering a low cost, easy access way into beef farming. Combined with the recent rebranding from our limited company name of Premier Farm Marketing to the trading name of Select Livestock, we’ve had our busiest quarter ever! Our farming business, like many others, is steeply rooted in tradition but we have to accept and use new technologies, when applicable, if we are to stay at the forefront and continue providing a service to fellow UK farmers. A new mobile responsive website, Facebook, Twitter… it will be Instagram next! 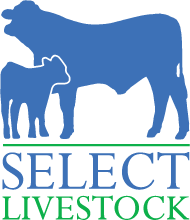 Select Livestock is continually looking for new calf rearers or store cattle growers – especially in Shropshire, Mid Wales, Herefordshire and Staffordshire – who are keen on a farming revenue stream where returns are guaranteed up front. As summer approaches, if you are looking for cattle to graze and want to turn your grass into money with a guaranteed return, please do not hesitate to get in touch me, Dan, on 07902 408400. Please do follow us on Twitter or on Facebook and spread the word if you can.